At the age of 22 Aaliyah was on top of the world. With Grammy and Oscar nominations already under her belt, the platinum-selling singer and actress had a bright future - a future cut short by a tragic plane crash in the Bahamas on Saturday, August 25. Aaliyah was in the Bahamas shooting a video, Minister of Tourism Tommy Turnquest told the Associated Press. She died instantly when the plane, a Cessna 402B, exploded on impact just 200 feet beyond the end of a runway at Marsh Harbour International Airport on Abaco Island at 6:45 p.m., Rahming said. The craft, which was bound for Opa-Locka Airport, just northwest of Miami, apparently suffered engine failure upon liftoff, he said. Others killed in the accident included Aaliyah makeup artist Eric Foreman, 29, and Virgin Records representative Douglas Kratz, 28, according to Rahming. Two other women and three other men, including the pilot, died in the crash; another male passenger died early Sunday morning in Nassau, where he was awaiting airlift to a Miami hospital, authorities said. Aaliyah "was like one of my daughters, she was one of the sweetest girls in the world," producer Quincy Jones told the AP. "I loved her and respected her and I am absolutely devastated." "We find it devastating and most unfortunate that after having this world-famous star Aaliyah and her crew select the Bahamas as their choice location for her latest video, the project has climaxed on such a tragic note," tourism minister Turnquest told the news service. 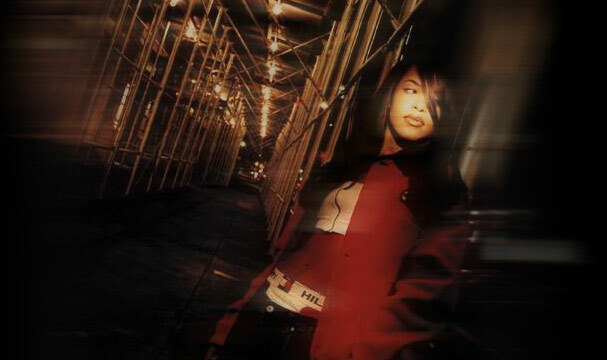 In July, Aaliyah released her self-titled third album, which found her moving away from club beats toward more introspective, midtempo numbers (see "Aaliyah Makes Love And War On New Album"). The album features the single "We Need a Resolution," one of three songs she recorded with producer and frequent collaborator Timbaland. The singer, who co-starred with martial artist Jet Li in the 2000 action flick "Romeo Must Die," plays the title role in the film adaptation of the Anne Rice novel "Queen of the Damned" and was cast in "The Matrix 2," both due in 2002 (see "Aaliyah Finishes New Album During Break From Movies"). She released her first album, Age Ain't Nothing but a Number, in 1994. "I don't think about my success. I'm happy that the work I've done in the past has been very successful. All I can do is leave it in God's hands and hope my fans feel where I'm coming from. I took the time to give my all." Aaliyah Memorial Fund: In accordance with the Haughton Family wishes, the fund listed below has been set up in Aaliyah's name. Memorial Sloan Kettering Cancer Center in Harlem, The National Breast Cancer Coalition in Washington DC and the Revlon/UCLA Breast Cancer Center. All of the beneficiaries are part of the upcoming charitable event, "Breathe", at which Aaliyah was slated to appear on October 27th. Donation checks can be sent directly. Donors wishing to use credit cards should please contact Merrily via phone, fax or email. The Tax ID number is 95-1644609. Cards will be sent to the family notifying them of donations made.